Unless you love the ‘sweaty hair look’, and we are sure you don’t, it is important for you to take care of your hair after working out. Post a good sweat sesh at the gym, some of your hair habits may actually be causing you more harm than good. These may seem like small points to remember, but will make a big difference to the quality of your post-workout hair. You all know that frequent washes with shampoo is not recommended for your hair, and yet a quick wash is required to get rid of the sweaty feeling after a good workout. You can always wash it with just conditioner. This will help add moisture back into your hair, help detangle your hair and help you get that clean feeling without the use of actual shampoo. After co-washing your hair, apply a leave-in serum and wrap a hot towel (dip a towel in hot water and wring the water out, leaving the towel hot with steam) around your hair and let the steam help your hair to absorb the goodness from the serum. Apply a deep conditioner once every week. This can be done with a homemade hair mask or a store bought one, or even a salon service with a protein-rich hair mask. This helps add moisture and shine back into your hair. Keeping your hair tied in a braid or a bun will make sure that your hair does not get tangled while you work out. 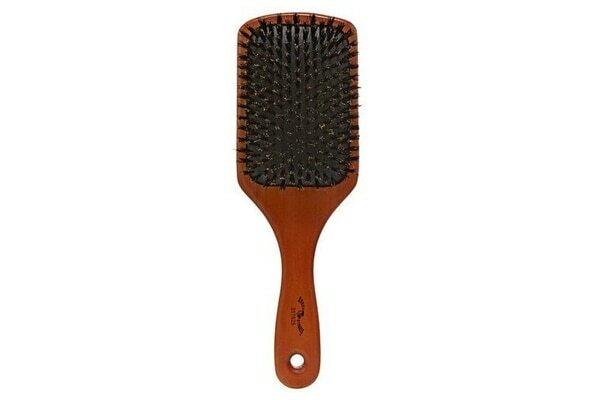 This will make brushing and styling your hair post-work out easier. If you skip washing your hair after a workout, then apply a hair serum from mid-length to the ends and brush out the lengths of your hair with a boar bristle brush. This makes sure that the oils from the scalp are distributed along the lengths of the strands. HOME REMEDIES EDITION: HOW TO GET SMOOTH HAIR?